This month's 4 top tips are to help you ski the bumps with better control, painless knees and a feeling that you are in charge, not the bumps! 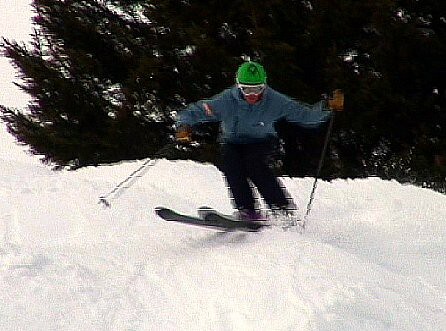 Rotate your legs and feet to twist your skis on the snow. The effect is like scraping the snow into the bump. This will check your speed and set you up for absorbing the bump. Push your tips down, This will give you the time needed to push the skis into the next hollow, rotating and scraping the snow with the skis again to check the speed and direction. Keep your upper body facing down the fall line. This will help you keep to the line and help agile quick movements. One other extra tip is to keep the skis quite flat on the snow ( not too much edge) this will help the pivoting of the skis and enable a more direct descent. By Mark Gear and Simon Halliwell from All Mountain Performance in Chamonix. BASI LEVEL 4 ISTD. Tags: All Mountain Performance, online ski tips. Half term week in Europe is going out with a bang - as many resorts from west to east and north to south are getting some heavy snowfalls today and tomorrow. Alpe d'Huez is getting lots of snow as we write - take a look at the webcam - and snow will be spreading from France to Switzerland and Austria. So whilst skiing out there today might not be the best, the fresh snow is a gift for everyone heading out tomorrow! Conditions now are excellent so why not escape the February greyness in the UK for the great outdoors, some fresh air and gluhwein. We'll be publishing our next newsletter sometime next week with lots of juicy holiday ideas for the rest of the season - so watch this space. If you'd like to make sure you get a copy make sure you sign up on our Promotions page. The crowds are gathering for the opening ceremony of the 2010 Winter Olympic Games which takes place at 6pm Vancouver-time on Friday 12th Feb.
Over the next two weeks athletes from all over the world will be tested in various sports and disciplines on snow and ice. For all of these individuals it is the culmination of years of training and dedication - and Olympic medal glory could be decided in a matter of minutes, even seconds. The Team GB skiers and snowboarders may be breathing a sigh of relief that they are even there. Snowsport GB, the governing body for the two sports, went into administration just last week, amid tales of mismanagement and loss of funding. Coaches had not been paid, athletes have had to pay for their own travel and training for several months, some have only been able to get a fraction of on-snow training they would hope for when preparing for an Olympic year. Luckily for our athletes in Vancouver the British Olympic Association has stepped in to ensure they can compete, and have made sure that adminstrative and financial requirements will be met. The skiers and snowboarders of Team GB, and their support teams, can now concentrate on the Games and their performance. Now, following a statement issued yesterday by the BOA, the future for British skiing and snowboarding may be looking a little brighter. 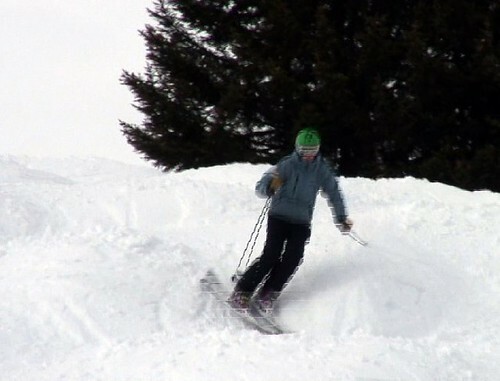 A new national governing body, British Skiing and Snowboarding, has been formed, chaired by Colin Moynihan of the BOA. Post-Vancouver this new body is planning a "comprehensive consultation process", where athletes and all other bodies involved will be able to voice their opinions. "The skiers, clubs, academies, volunteers, stakeholders and Home Nations will all continue to have an important role to play in the future," Moynihan said. "Their voices will be heard to ensure that British Ski & Snowboarding takes its place alongside the leading National Governing Bodies for sport and never again goes into bankruptcy." It's a hopeful move not just for the athletes in Vancouver, but for the scores of British children who are trying their utmost now to reach international level and to get selected for the national team in years to come. The new body's first job is to find more funding for wintersports - as the chairman has said "We have spent £6.5 million over a four-year period for winter and £400 million for summer sports. That's unacceptable to the BOA. We have to sit down with the Government and all the stakeholders and ask the athletes what they want. I don't think funding for winter sports has been adequate in recent years. There has been a lack of focus on the requirements of the athletes. This really is a new dawn as far as I am concerned." You might say that sports funding in the UK is finite. With the gold medal glow of Beijing behind us, and London 2012 coming up, why should a non-alpine nation spend time and money on sports that only a small minority will do, and that a much smaller minority will ever be any good at? The same could be said for a lot of Olympic sports - rowing, sailing, equestrianism - not exactly mainstream sports, requiring as they do specific conditions and equipment. Becoming world class in any sport requires an extraordinary level of commitment and strength of character, and in sports such as skiing and snowboarding, that commitment has to start at a young age. Chemmy Alcott started skiing aged 18 months, she's now 27 and Vancouver will be her third Olympic Games. Ed Drake took part in his first international race at the age of ten - since then his family has borne most of the cost of his training, travelling and competing. To compete with the French, Swiss, Austrians, Italians, Canadians et al these guys need tremendous determination - to get to the standard where they can compete is already a massive achievement. So if somebody has taken the time to get so good, how can we not acknowledge that level of commitment? And how can we pull the rug on their ambitions by cutting off access to coaching and expertise which could make all the difference? If we are to produce champions in any sport we need to provide the pathway for young talent. We need to be able to find that talent, then train, encourage and nurture it. This is precisely what happened in British cycling from 1997, when a large influx of lottery funding provided the impetus for a massive improvement in facilities and training. Until then the sport was in almost the same state as GB skiing is today. Look what's happened since. Having sporting champions is good for a country. It provides good role models and gives us all something to aspire to and admire. In a quick-fix TV nation, where the X Factor dominates, we should be applauding anyone who achieves greatness through years of hard work and dedication rather than a telephone vote. On a more practical level sporting success brings a higher level of expertise and professionalism into the sport. Success breeds sucess as they say - or if your coach has been on the World Cup circuit then he/she will have a better understanding of it to pass on to you. So let's hope that this pathway remains open for Britain's young skiers and snowboarders, who, contrary to popular belief, are not all over-privileged kids with rich parents. They may have been lucky enough to start learning to ski or board young, but the drive, dedication and passion they have for their sport is something that money can't buy. Good luck to all Team GB's Olympic hopefuls. Coverage starts on the BBC from Saturday 13th Feb with the men's downhill one of the first events. See profiles of all the athletes on the Team GB website . This weekend sees the biggest exodus for the ski slopes since the Christmas/New Year holidays. February half term is upon us already, and resorts across the Alps and Pyrenees will be gearing up. Fortunately a cold and snowy January means that conditions are now excellent, with many resorts receiving a hefty snow top up as recently as last weekend, and smaller showers during this week. So if you're heading to the mountains for a family half term you can expect good snow, cold temperatures at the start of the week, and the possibility of more snowfall towards the end of it. Take a look at Netweather for a detailed weather forecast for your resort. As next week coincides with Mardi Gras you may also find a carnival atmosphere in town with some fun events taking place during your stay. If you haven't booked anything but have made a last minute decision to find a ski holiday take a look at our Promotions page and do a search by date - there are some last minute cancellations so there are a few beds available. The February holiday weeks are the turning point in the season - and by the end of the month the days are getting longer, temperatures are rising, and spring is in the air. Keep an eye out for some excellent March offers we'll be posting - why not subscribe to our Latest and Greatest newsletter to get the greatest offers direct to your inbox. Billed as the ”The Best Riders on the Best Mountains in the Ultimate Freeride Competition” the Nissan Freeride World Tour is an iconic competition consisting this year of 4 events. We are already halfway through - Sochi in Russia, venue for the 2014 Winter Olympics, and Chamonix, had their stages in January, leaving just Squaw Valley on the Feb 27th and the grand finale at Verbier on March 20th. The Verbier Xtreme competition has actually been going since 1996, with different sponsors throughout it's history. It is considered the most prestigious event in the freeride calendar and attracts riders and spectators from all over the world. The competitors have to tackle the north face of the Bec des Rosses, a steep and jagged 500m rock face, which in some places has a 55 degree slope. Running alongside the main tour is the Freeride World Qualifier, which allows lesser known riders to earn valuable points and maybe get a chance to qualify for the Verbier competition. "The qualifier courses have to pose a number of challenges to the riders - couloirs, cliffs, certainly off the beaten track with ideally virgin powder and variable conditions, and a minimum of 300 vertical metres. There is no right or wrong way down the mountain - but points are awarded for control, technique, confidence and the line taken by the competitor." 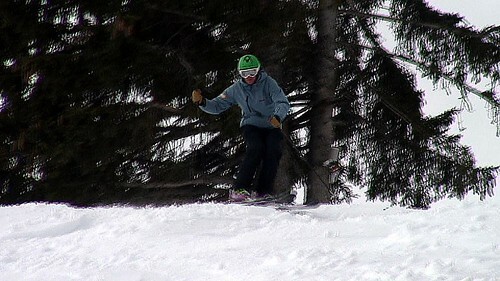 The photo is from the Flaine event which took place on 7th Feb - a fantastic day, with sunshine and fresh powder! There are around 18 qualifier events taking place this winter in resorts all over the northern hemisphere - so if you're in a resort that's staging one make sure you take some time out to watch. (See the Programme for the Freeride World Qualifier events). The Courchevel valley has a reputation for attracting an upmarket, well-heeled clientele. It is certainly favoured by the very rich - Russian oligarchs, Arab sheikhs et al - and the very famous, such as the Beckhams, Roman Abramovich and guests. Yet whilst it might be the place to see and to be seen in, it's not just the designer boutiques and Michelin stars of Courchevel 1850 that make it one of the best and most famous ski resorts in the world. As part of the extensive Three Valleys system, Courchevel can offer easy access to some of the most varied skiing you'll find anywhere. The Courchevel valley itself provides around 150km of pistes, ranging from steep black couloirs, to broad motorway cruises, to picturesque runs through the trees. Look further afield and there are endless possibilities; touring, backcountry, high altitude glaciers, snowparks, legendary bumps and off-piste pitches - however you want to experience the mountains, it's all here in the Three Valleys. Getting back to Courchevel itself and what is it exactly that makes it such a top resort? The resort is actually a group of villages, each with a different character and with something different to offer the visitor. The highest is Courchevel 1850, a glitzy conurbation with top end restaurants, a selection of exclusive hotels, glamorous nightclubs and a "millionaire's row" of private piste-side chalets. Just above is the altiport, a high altitude airport with one of the shortest and steepest runways in the world, built to receive the private jets and helicopters of 1850's jet-set. Courchevel 1850 is the main starting point to get to the best skiing to be found in the Courchevel valley. Just two lifts will take you up to the Saulire at 2700m, from where you can drop into the neighbouring Meribel valley, or admire the fantastic panorama below you and then head off to discover Courchevel. It is testament to the good planning of the whole Courchevel valley however, that wherever you stay getting to ski is quick and painless. Just 200 metres lower is Courchevel 1650, less pricey but with a good range of accommodation, eateries and apres ski. 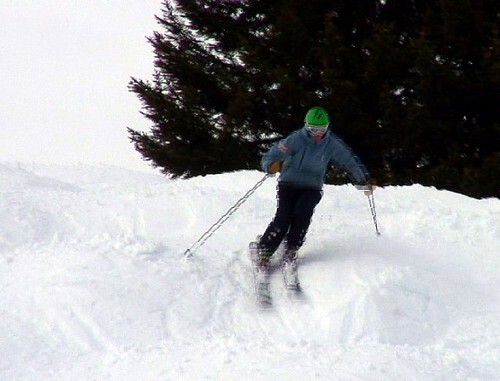 1650 has it's own smaller ski area, an off-shoot of the main valley, with a few quieter, picturesque pistes. This village has a large year-round population and many businesses are open for summer trade too, when bikers, walkers, golfers and mountain lovers come to visit. Perched on the hillside at 1550m is, well, Courchevel 1550. This village has grown in recent years and is just one lift-ride away from 1850's main intersection, skiing back down at the end of the day is simple. The village is quieter than it's higher neighbours but there are still some good bars and restaurants, and getting to the livelier nightspots is easy with the regular free bus. At 1300m is the traditional village of Courchevel Le Praz, which still has it's quaint villagey atmosphere and friendly feel. You can find hundred year old barns and typical Savoyard houses. The main landmark of Le Praz is the Olympic ski jump, built for the 1992 Albertville Winter Olympic Games. Despite being a traditional village, access to the ski area is again quick and easy. One lift takes you to 1850, and another route will take you up to the Col de La Loze, again another entry point into Meribel and another viewpoint for a spectacular panorama. So part of what makes Courchevel so good is the choice it has to offer. From beginner to expert there is something to flatter or challenge you in its terrain, and lots of it. You'll never get bored with the ski area. Coupled with that is the great choice of places to stay and the type of holiday you can have. Accommodation to suit all tastes and budgets means you can splash out on something truly luxurious or keep it cheap and simple. If this has whetted your appetite take a look at our Courchevel chalets, hotels and apartments - and if you've had a holiday in Courchevel why not post up a review of the resort and let everyone know what you think!